April ended on a high note today as the Dow Jones industrial average closed at a record high of 16,580. The Dow's last peak occurred on December 31, so there's something to be said for finally reaching a new level in 2014. The S&P 500 ended just shy of a record close, and the Nasdaq also ended the day higher, though the gains were modest. Overall, April has been a rough and volatile month, especially for technology stocks. The Nasdaq fell about 2% in the month as investors grew concerned about the valuations of some speculative tech companies. In contrast, the Dow and S&P 500 both ended the month with gains, albeit less than 1%. Investors yawned at the latest Fed statement on Wednesday afternoon. The Fed announced a reduction in its bond buying program, a key form of economic stimulus, by another $10 billion per month, as expected. What was more encouraging was the Fed sees signs of growth, but still intends to keep interest rates low for some time. Bond yields fell after the Fed statement was released. The 10-year Treasury yields sank to a low of 2.64%, down from 2.71% late Tuesday, although it's difficult to read much into the reaction. "The Fed made very little change in its policy statement and did exactly what the market thought they would," said Kevin Giddis, head of fixed income at Raymond James. Meanwhile, economic data released earlier Wednesday highlighted the drag that bad weather put on growth in the first three months of 2014. U.S. gross domestic product, the broadest measure of the economy, grew at just a 0.1% annual pace in the first quarter, the U.S. Bureau of Economic Analysis said. Economists had anticipated that winter weather would take a toll on growth, but the result was worse than most forecasts. But not all the morning's economic news was bad. Payroll processor ADP (ADP) said the private sector added 220,000 jobs in April. That's the strongest job growth since November. Social media stocks were in focus after Twitter (TWTR) posted uninspiring first quarter results late Tuesday. Twitter shares sank more than 9% as investors worried about user growth on the micro blogging site. Twitter was the top trending ticker on StockTwits, where traders were debating the company's valuation. 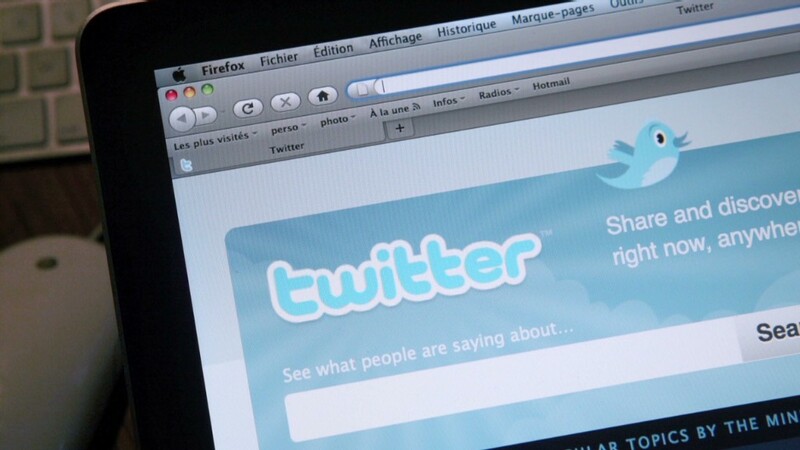 "Twitter still has huge potential & we are all using it, but it is already $21Bn company. A lot is priced in. It needs to show higher growth," read a post by ivanhoff. Some traders were bracing for even more downside in Twitter shares next week, when the post-IPO lock up period expires and company insiders are allowed to sell. "$TWTR It will be ugly when the lockup expires Monday," said hedgesauce. 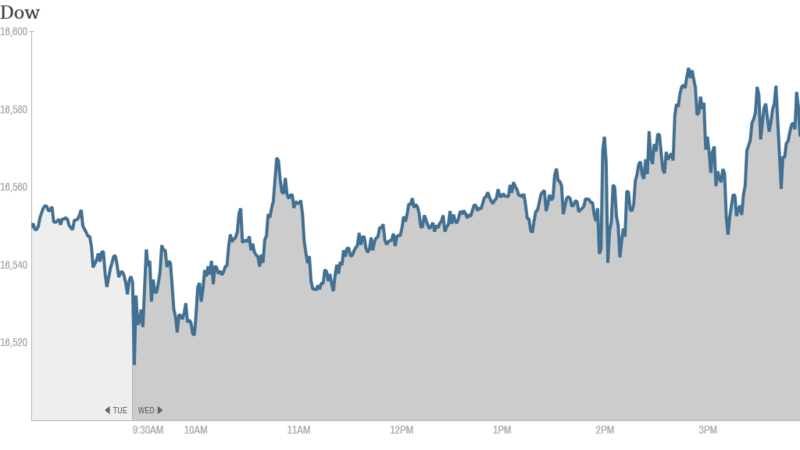 Facebook (FB) shares fell in early trading, but bounced back as the day wore on. "$FB glad to see this detaching itself from $TWTR," said Jweaves. Energizer (ENR)shares jumped after the battery company announced plans to split into two companies, one for Energizer batteries and other household products and another for personal care brands such as Schick and Playtex. In other corporate news, CNNMoney parent Time Warner (TWX) reported earnings and sales that topped forecasts, helped by strong revenue from the Lego movie. But shares of Dreamworks (DWA) plunged after it reported a quarterly loss driven largely by the box office flop of Mr. Peabody & Sherman. Shares of Royal Dutch Shell (RDSA) rose after the oil giant reported better-than-expected quarterly results and hiked its dividend. Other mega enery companies are set to release their results later this week. eBay (EBAY) shares declined a day after the online marketplace reported disappointing earnings. It's one of the biggest losers of the day among S&P 500 companies and the second-worst performer in CNNMoney's Tech 30 index. It's been a big week for merger talk. While nothing is quite as large as $100 billion that Pfizer (PFE)is willing to pay to acquire AstraZeneca (AZN), there are other deals in the work. Exelon (EXC) agreed to acquire rival utility Pepco Holdings (POM) in a $6.8 billion all-cash deal. Takeover talk continues overseas, with shares of French company Alstom rallying 8% in Europe after General Electric (GE) bid $13.5 billion to take over the firm's power divisions. German firm Siemens (SI) may make a counter offer as well. European and Asian markets ended with mixed results.